CARFAX One-Owner. Clean CARFAX. Odometer is 48927 miles below market average! 18/26 City/Highway MPG Clean CARFAX. CARFAX One-Owner. 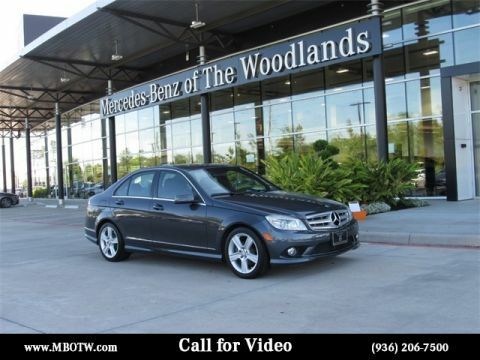 Please reach out: in case we missed a picture or a detail you would like to see of this 2010 C-Class, we are happy to send you A PERSONAL VIDEO walking around the vehicle focusing on the closest details that are important to you. We can send it directly to you via text, email , or Facebook messenger. We look forward to hearing from you! Clean CARFAX. Priced below KBB Fair Purchase Price! 18" Twin 5-Spoke Alloy Wheels, 3-Spoke Sport Steering Wheel, Adaptive Highbeam Assist, Bi-Xenon Headlamps w/Active Curve Illumination, Blind Spot Assist, COMAND® System w/Hard-Drive Navigation, Corner-Illuminating Lamps, Electronic Trunk Closer, Headlamp Cleaning System, Heated Front Seats, iPod/MP3 Media Interface, iPod/MP3 Media Interface Cable, Lane Keeping Assist, Lane Tracking Package, Power Rear Window Sunshade, Premium 2 Package, Premium Sound System, SIRIUS Satellite Radio, Sport Sedan Package, Sport Suspension, Wheel Package. Clean CARFAX. Please reach out: in case we missed a picture or a detail you would like to see of this 2013 E-Class, we are happy to send you A PERSONAL VIDEO walking around the vehicle focusing on the closest details that are important to you. We can send it directly to you via text, email , or Facebook messenger. We look forward to hearing from you! Clean CARFAX. Priced below KBB Fair Purchase Price! 4MATIC®, Adaptive Highbeam Assist, Burmester Premium Sound, Dynamic LED Headlamps, KEYLESS GO®, LED Headlamps, Lighting Package, Panorama Sunroof, Premium 1 Package, Rear-View Camera, SiriusXM Satellite Radio, Sport Package. 24/31 City/Highway MPG Clean CARFAX. 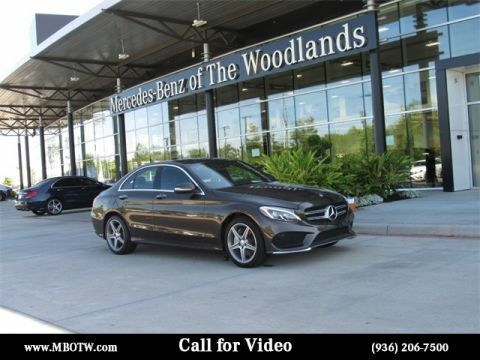 Please reach out: in case we missed a picture or a detail you would like to see of this 2015 C-Class, we are happy to send you A PERSONAL VIDEO walking around the vehicle focusing on the closest details that are important to you. We can send it directly to you via text, email , or Facebook messenger. We look forward to hearing from you! Priced below KBB Fair Purchase Price! 6-Speed Automatic, Equipment Group 300A. 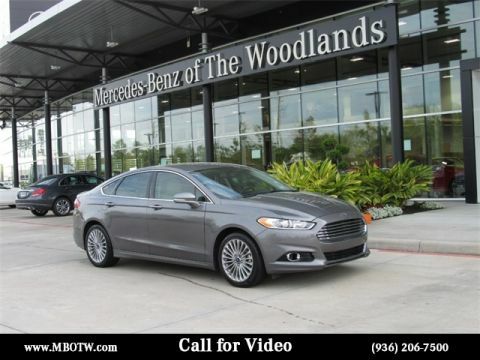 22/33 City/Highway MPG Please reach out: in case we missed a picture or a detail you would like to see of this 2014 Fusion, we are happy to send you A PERSONAL VIDEO walking around the vehicle focusing on the closest details that are important to you. We can send it directly to you via text, email , or Facebook messenger. We look forward to hearing from you! CARFAX One-Owner. Priced below KBB Fair Purchase Price! Mocha Nappa w/Black Dashboard w/Nappa Leather Upholstery, Anthracite Wood Trim, Comfort Access Keyless Entry, Driver Assistance Package, Head-Up Display, Instrument Cluster w/Extended Contents, LED Fog Lights, Luxury Line, Luxury Line (7S2), Navigation System, Park Distance Control, Power Tailgate, Premium Package, Rear-View Camera, Satellite Radio, Sport Leather Steering Wheel, Wheels: 19" x 8.5" V-Spoke Light Alloy (Style 366), Without Lines Designation Outside. 20/30 City/Highway MPG CARFAX One-Owner. 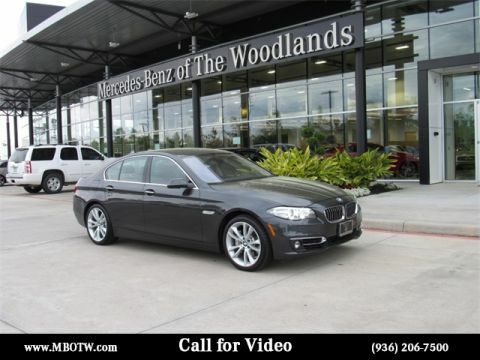 Please reach out: in case we missed a picture or a detail you would like to see of this 2014 5 Series, we are happy to send you A PERSONAL VIDEO walking around the vehicle focusing on the closest details that are important to you. We can send it directly to you via text, email , or Facebook messenger. We look forward to hearing from you!